Amber loves to be on the computer. 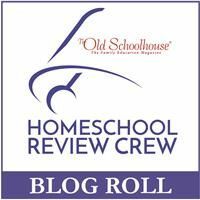 She wants to start her own blog and has been loving Homeschool Programming Inc.
Homeschool Programming offers several programs to teach kids and teens how to write computer programs, games, and Android apps. We received KidCoder Visual Basic Series to review. The first semester covers Windows Programming and the second semester cover Game Programming. It is recommended for kids in 6-8 grades and can be purchased together for $120 or each one can be purchased separately for $70. The cost for both semesters and the optional videos are $145. The free Microsoft Visual Studio 2010 Express is required to complete this program. The textbook is taught directly to the student and no prior knowledge of computer programming is required. We received PDF files for KidCoder Windows Programming and for KidCoder Game Programming. We added our PDF files to our Kindle Fire, so Amber could easily read what she needed to do and still see her computer screen full size. 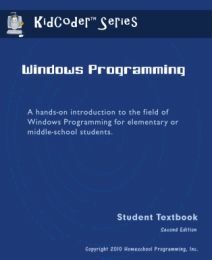 The KidCoder Windows Programming PDF is a 213 page student textbook. It consists of 13 chapter with 3 or 4 lessons, chapter review, and applications for most chapters. 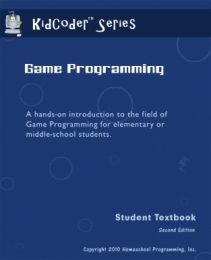 The KidCoder Game Programming is a 238 page Student Textbook. There are 14 Chapters with 3-6 lessons per chapter with chapter reviews and applications. 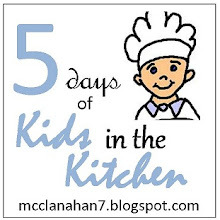 Amber is 12 and is going into the eighth grade and has been using this program. She already had some computer programming knowledge, so she is almost finished with the first semester, Windows Programming, and she can’t wait to start working on the gaming. I helped her get started and then she worked pretty much on her own. There were a few places where she wasn’t quite sure what to do, she said she thought it could be explained a little clearer. Windows Programming starts out with a little history lesson of computers and how they have changed. The hardware, software, and language of computers is also discussed. Then we are instructed how to download the Microsoft Visual Studio and are shown how it is set up. Amber didn't need to watch the optional video segments, but if your child is more of a visual learner they may benefit from them. Amber has learned so much about computer language already and I feel this program is inspiring her to want to learn more. 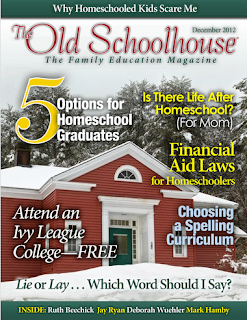 The Schoolhouse Review Crew received several products form Homeschool Programming. 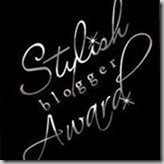 Sail over to the Crew Bog to read about those products.